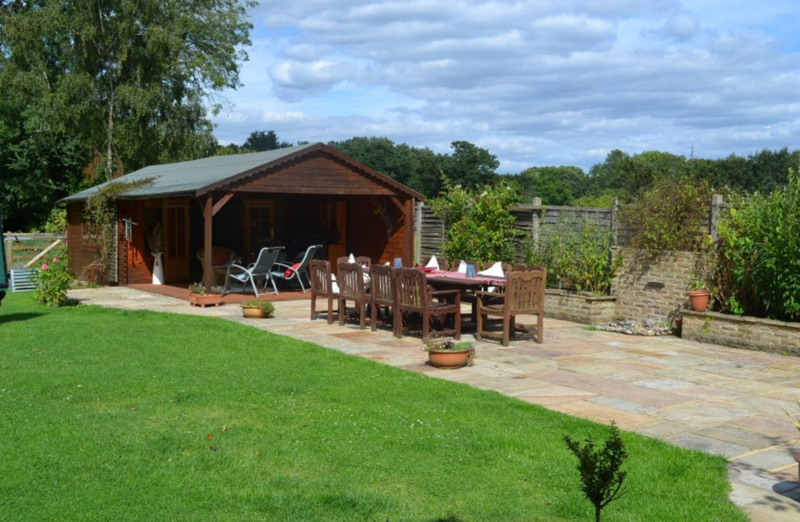 Beautiful home with separate Annexe in Chobham, perfect for visiting London, Ascot and Windsor for special occasions. 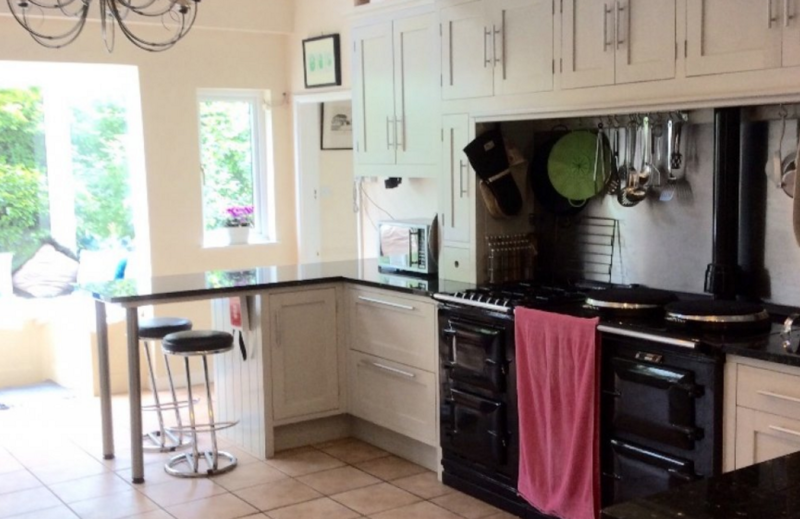 Beautifully extended and renovated by the current owners to provide a fabulous layout for large gatherings, this family home is located near the centre of the village of Chobham, renowned for it's great country pubs and has a large attractive garden, bordered by equestrian fields. 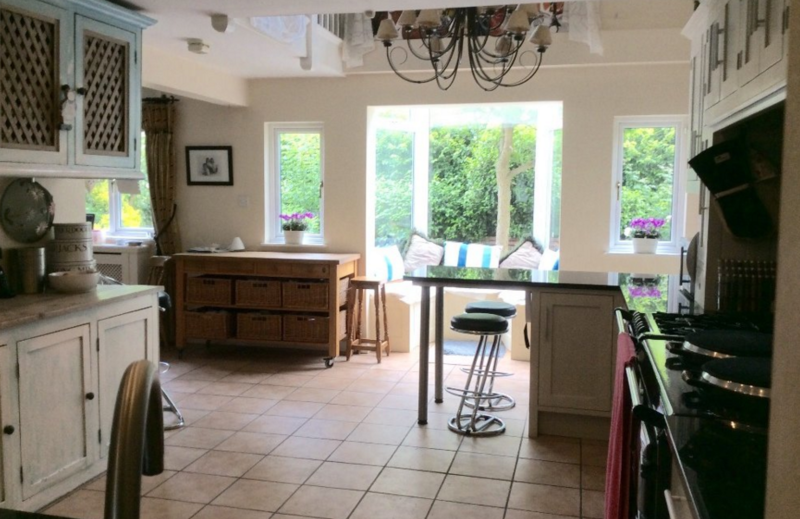 The open plan kitchen is at the heart of the house, with a gallery to the upstairs landing. The stunning Lounge with open stone baxi fireplace has large patio doors opening out on to a west facing patio with garden pond. Leading on from the kitchen, the dining room has exceptional views of the grounds and can accommodate up to 14 people for dinner and is connected to the family room by double doors. 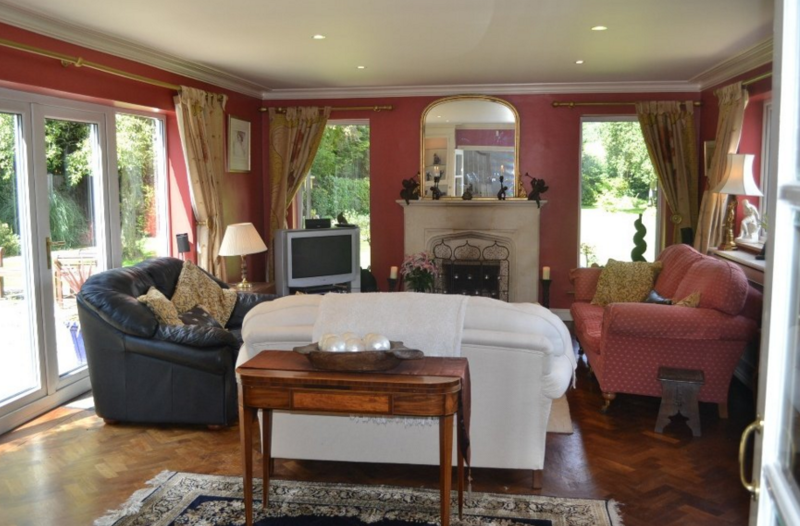 The family room, with a modern open gas fire leads into the large garden and another patio area with BBQ and outside cabin with undercover seating area. 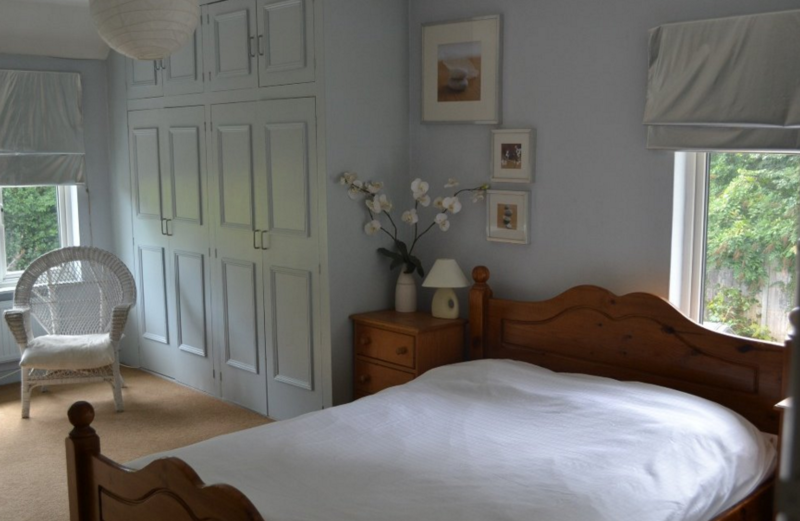 All bedrooms are incredibly spacious but the master suite is exceptionally large with triple aspect windows and its own balcony with views over the garden. 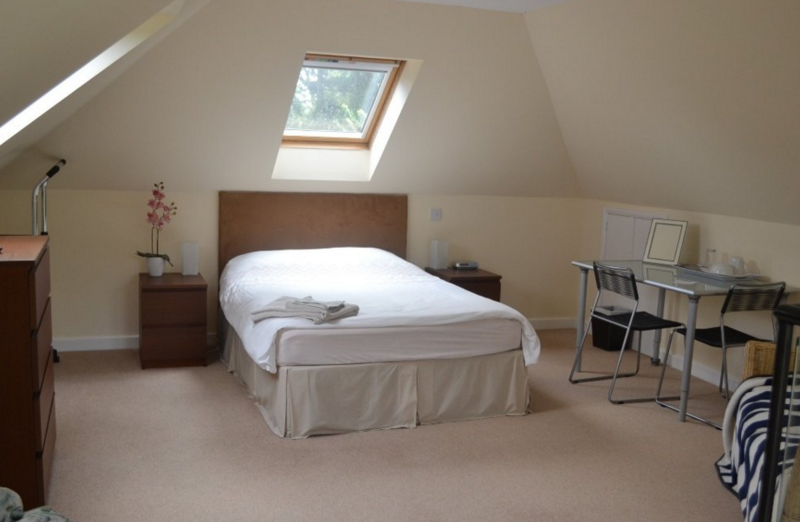 One further bedroom on the first floor is en-suite and the other three bedrooms share a bathroom. There is also a large shower room on the ground floor. 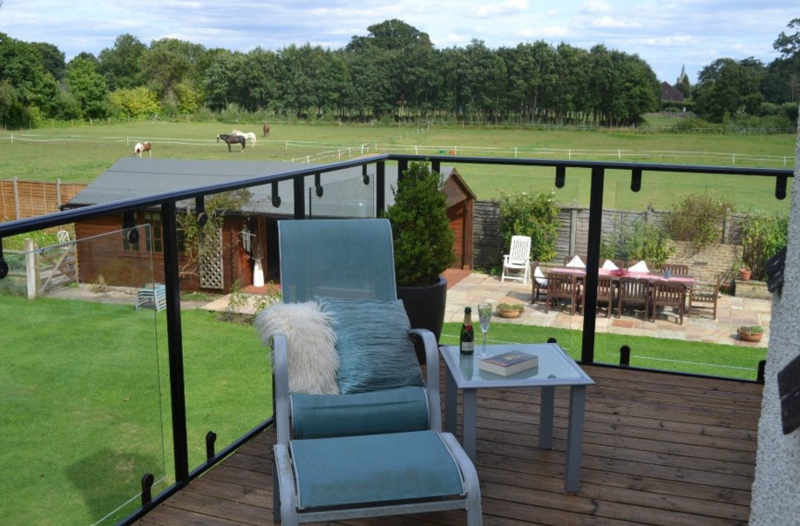 Separate to the house is an Annexe with its own shower room and spiral staircase leading to a large upstairs bedroom with stunning views from its large balcony over the attractive gardens and equestrian fields. 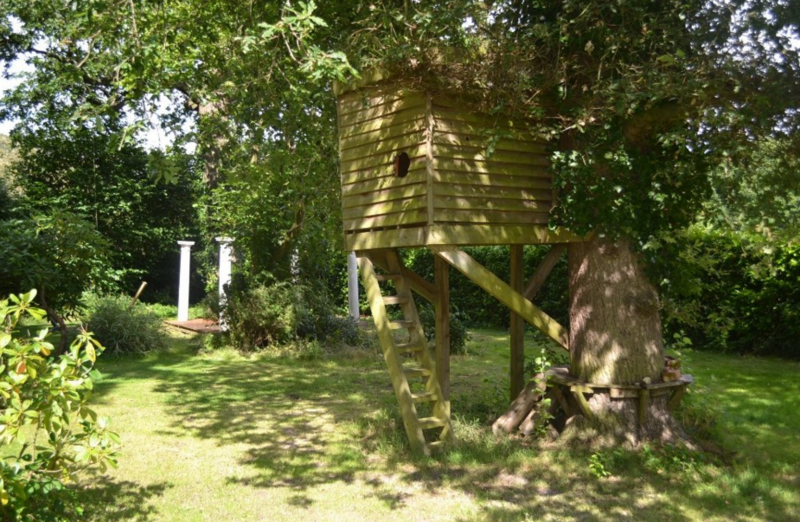 Extra guests can be accommodated on request and children may enjoy sleeping separately in the cabin. 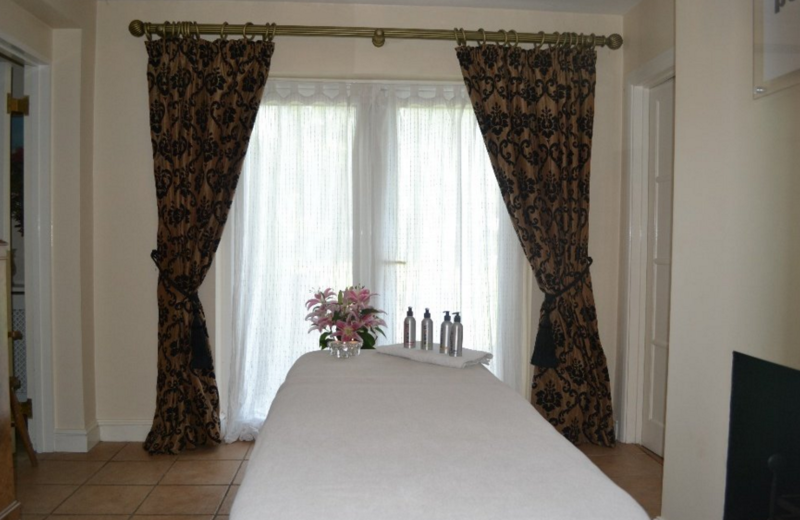 Downstairs there is a treatment room for which guests may like to pre-book beauty and massage treatments during their stay. 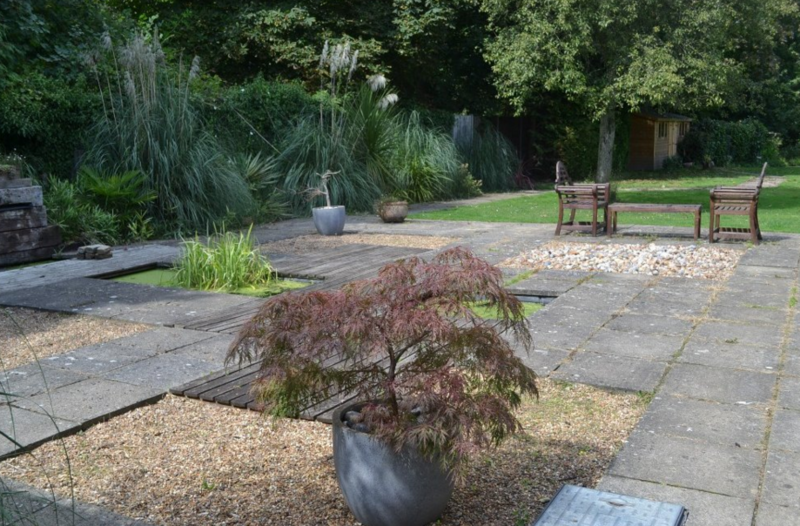 The large gardens include beautiful flower beds and plenty of lawn space. 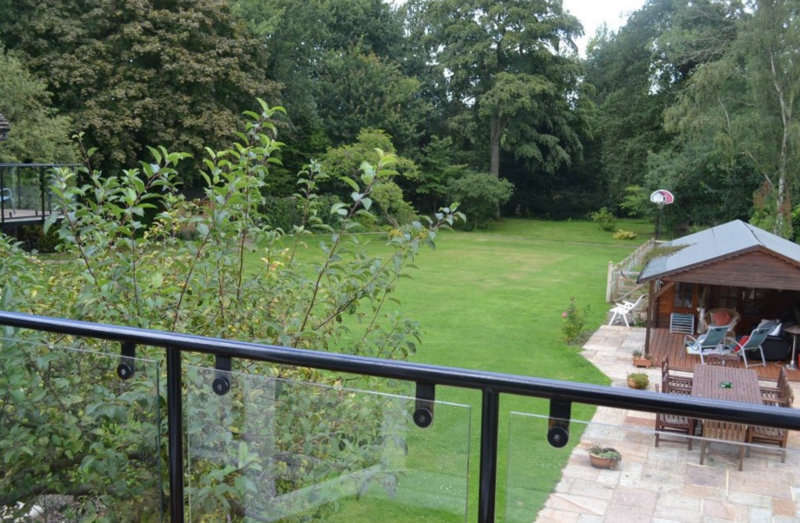 There is also a brick built, solid fuel barbecue and separate gas barbecue on the large patio area for outdoor meals. There is plenty of parking space on the front and rear drive. 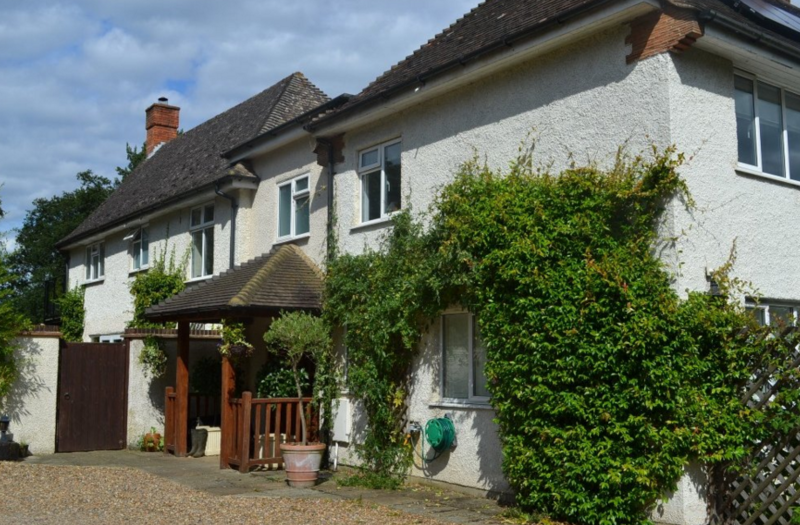 Situated in the village of Chobham in Surrey, this beautiful house is ideally located for a short break, with easy access to London via the M3.